This week Instagram introduced Checkout, allowing users to buy products directly through the app. Look for brands testing this service in the coming weeks, including: @adidaswomen, @adidasoriginals, @burberry, @kyliecosmetics, @maccosmetics, @niketraining, @nikewomen, @warbyparker and @zara. Google launched its big foray into the $140B gaming industry with Stadia, a console-less gaming platform that will be streaming-based and work across devices. Check out this 3.5 minute recap of Google’s Stadia announcement. Researches made A.I. software that makes its own software, and it’s better than humans can make! Specifically, the Google Brain artificial intelligence research group had software design a machine-learning system to take a test used to benchmark software that processes language. What it came up with surpassed previously published results from software designed by humans. According to MIT, the idea of creating software that learns to learn has been around for a while, but previous experiments didn’t produce results that rivaled what humans could create. Meanwhile, check out the JS Bach Google Doodle, complete with A.I.-based harmonizing! As people get more concerned about privacy and being “friends” on social media who aren’t really your friends, Basement launches a social network that is restricted to just 20 people who matter in your life. Will it suffer the same fate as Path? We’ll see. Download it here. This week in Podcasts we’re digging Stay Free: The Story of the Clash (narrated by Chuck D) and Conan O’Brien Needs a Friend, particularly his interview with Michelle Obama. It turns out that weird Florida news stories make for a pretty viral meme. 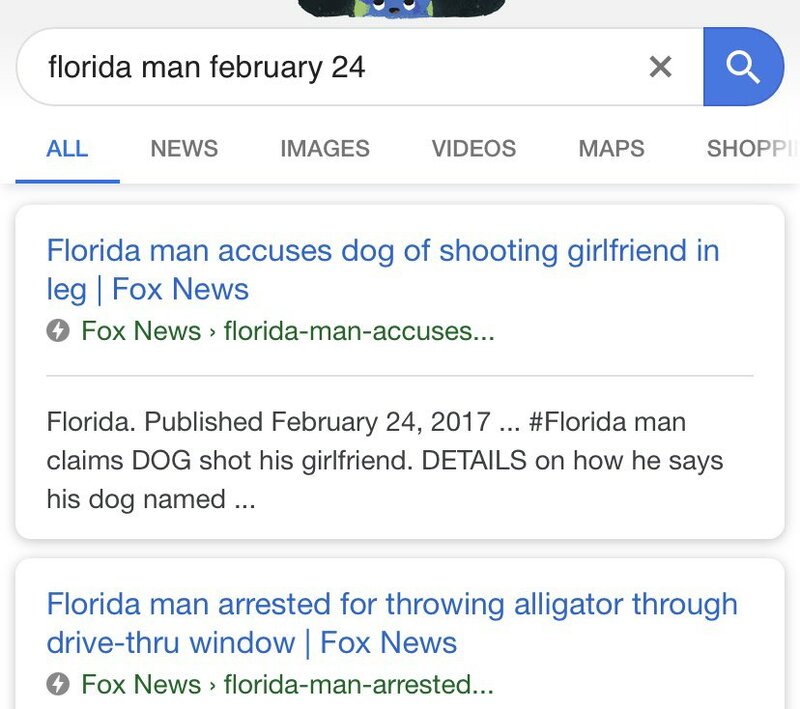 Simply Google “Florida man” with your birthdate (month and day) and see what you get. Then share it with your friends! Speaking of email newsletters, did you know you can get these posts via email?